PLEASE ensure you add the name of the registered owner, so we can obtain the correct colours. Do this by clicking on the "Product Customization" tab in the 'View' Section. REMEMBER to click the save button when you have finished entering the owners details. 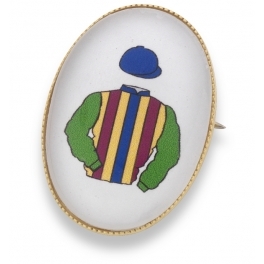 This bespoke item from our equestrian jewellery (jewelry) range is crafted in our workshop and can be personalised with your own racing colours (colors). 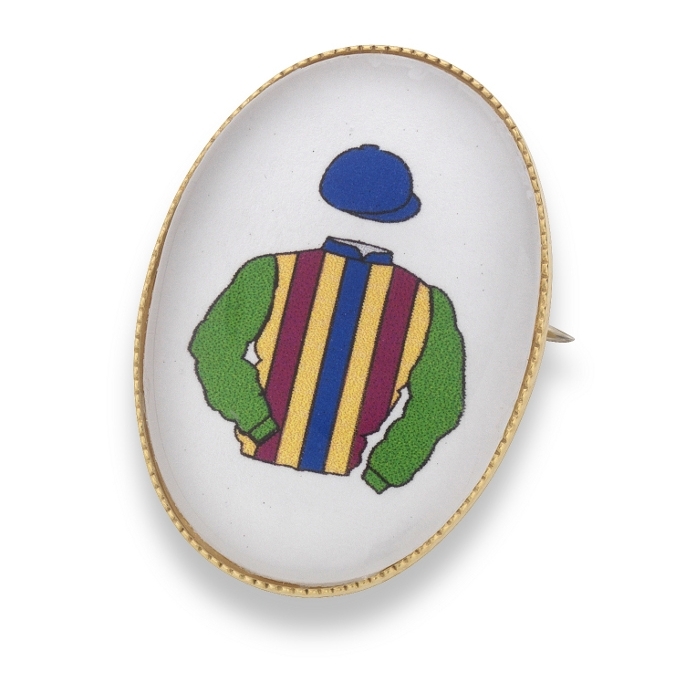 Beautifully presented in sterling silver, 18ct gold plate or 9ct gold this colours (colors) brooch is an ideal gift. The actual size is 25mm x 18mm and it is presented in a stunning leatherette presentation box.